This quiet, lakefront community includes homes dating from the era of The Great and The Gracious as well as a number of new, discreetly situated, upscale developments. 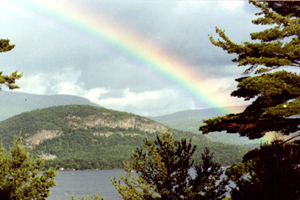 Bolton Landing real estate includes Lake George lake front, lakeview and mountainside properties as well as condominium townhouses such as The Sagamore Condominiums, Juniper Hill and Lagoon Manor. The town has long been favored by artists, and musicians, members of the theatre, business magnates, and horse race enthusiasts who come to enjoy the Saratoga racing season. The value of Bolton Landing real estate is enhanced by a number of excellent restaurants and a world-class resort, The Sagamore, for the convenience of those who come to enjoy our Adirondack ambience as well summer and winter sports and Fall foliage. Bolton Landing lake front includes almost all of the islands in Lake George, and the community is a popular jumping off point for campers, boaters, ice-fisherman and snowmobilers. Trout Lake, a small, mountain lake, private yet large enough to accommodate power boats of limited size, is one of Bolton's best kept secrets and adds to the options of Bolton Landing lake front properties. Bolton Landing prides itself on being The Gateway to the Islands, with convenient boat launch facilities and easy access to the public campground in The Narrows.